Black Glass Enhanced makes your other applications go transparent (more correctly, GLASSY). must be black) turn to glassy look. Run “BlackGlassEnhanced.exe” to start the application. Just add the process name in the Options menu and then click “Save” for changes to take effect. If you don’t know the process name for any application, start the Task Manager and go to “Process” to find out the process name. You can set the program to run at Windows Startup. Just select the “StartUp: Enable” option and then click “Save” to take effect. 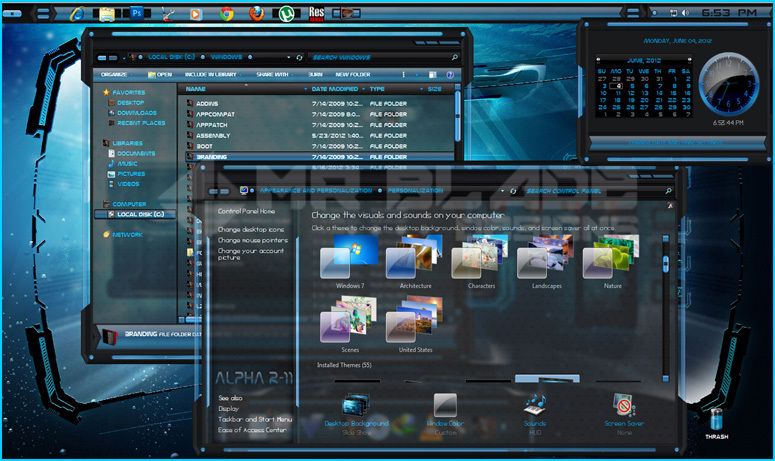 It's one of the best software's out there to make the look of windows glassy! Go for it!